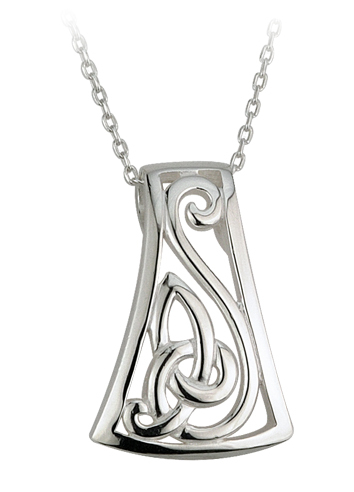 Celtic Pendant with an intricate celtic knot design in sterling silver. This attractive irish necklace comes in a presentation box with 18 inch chain included. 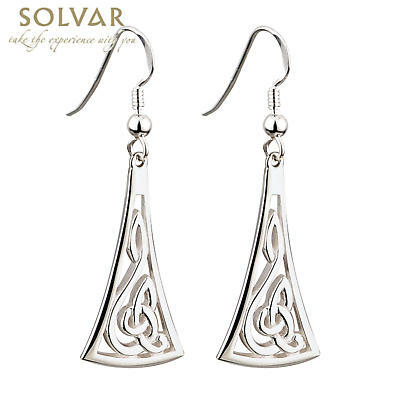 From the Fáilte range by Solvar Jewelry, Dublin, Ireland. Hallmarked at the Assay Office in Dublin Castle. Measures approx. 1 inch tall x .6 inch wide.